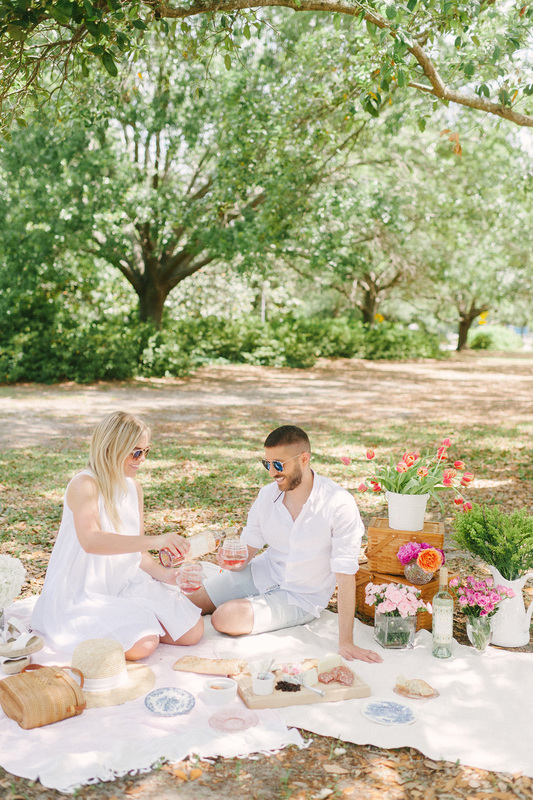 The weather has quite literally been picnic perfect the past couple weeks. I never want it to change! Summer…take as long as you need to officially take effect, we’re all good here. 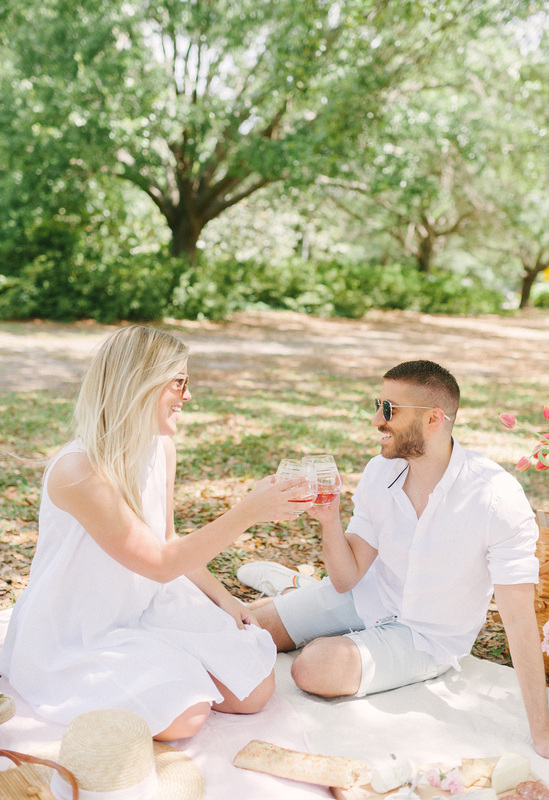 Last weekend, while my bestie Dan Chiz was in town visiting from NYC, we decided to take advantage of the nice weather and packed up a few nibbles to create our perfect little Charleston picnic with AVA Grace Vineyards in hand. It was a great way to spend an afternoon in the sun. 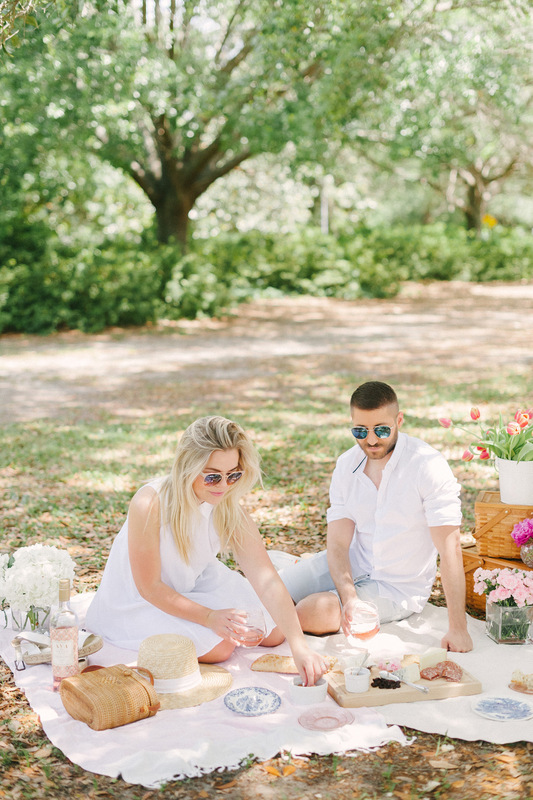 LOCATION: There are so many beautiful picnic perfect spots around town that make for the perfect Charleston picnic. 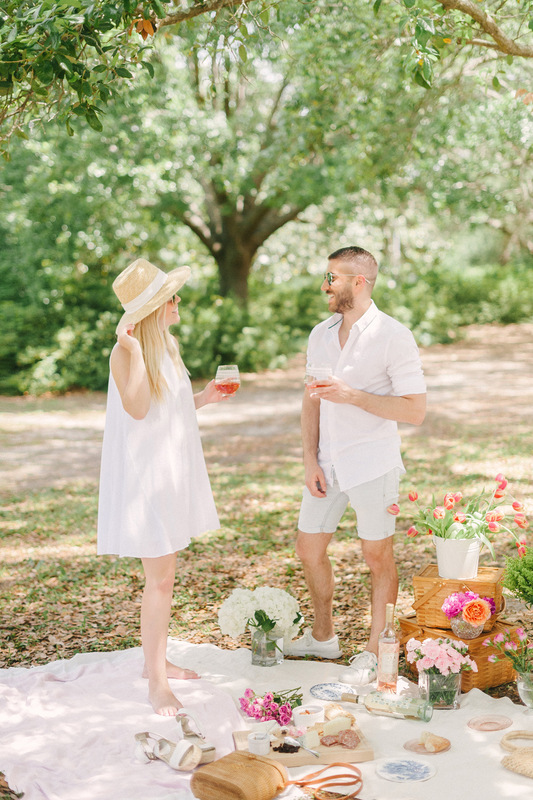 A few of my favorites include: Hampton Park, Whitpointe Garden on The Battery, Brittlebank Park. 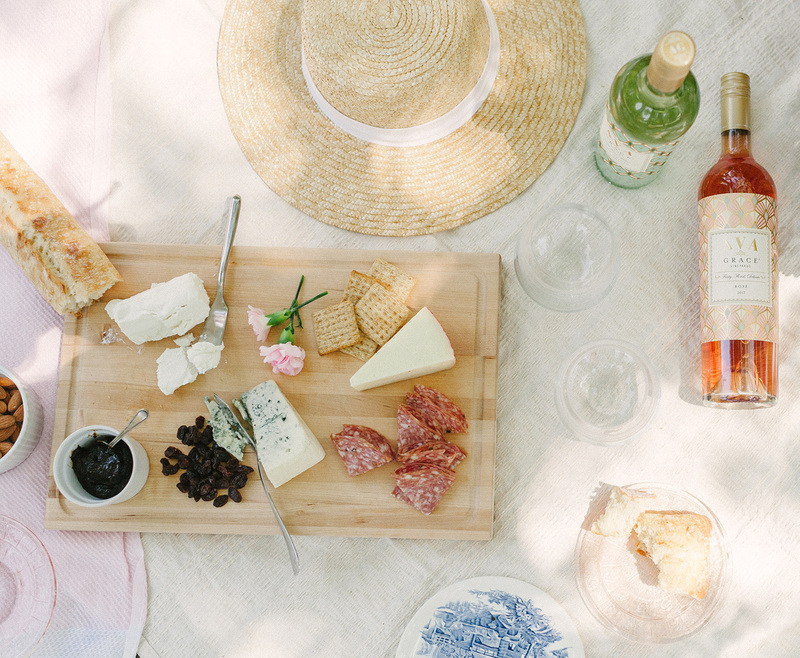 DRINKS: Water + wine are the key essential beverages to an outdoor picnic. 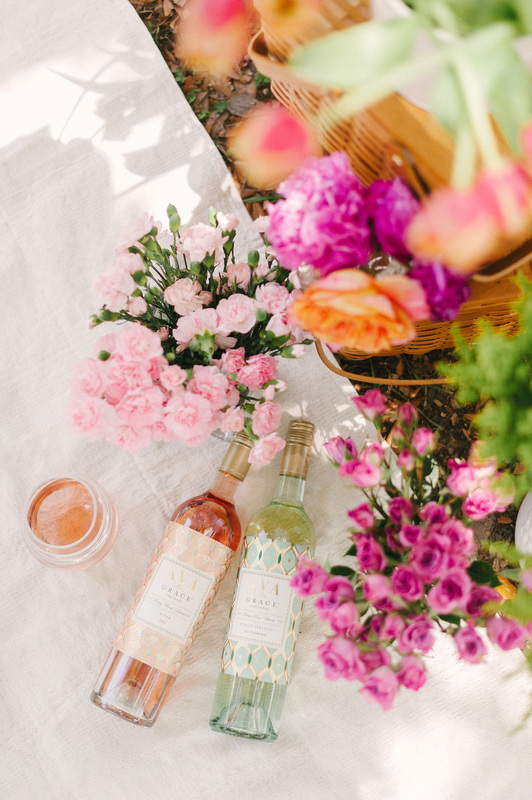 I’ve always been a big fan of Roses and Whites during these balmier months. 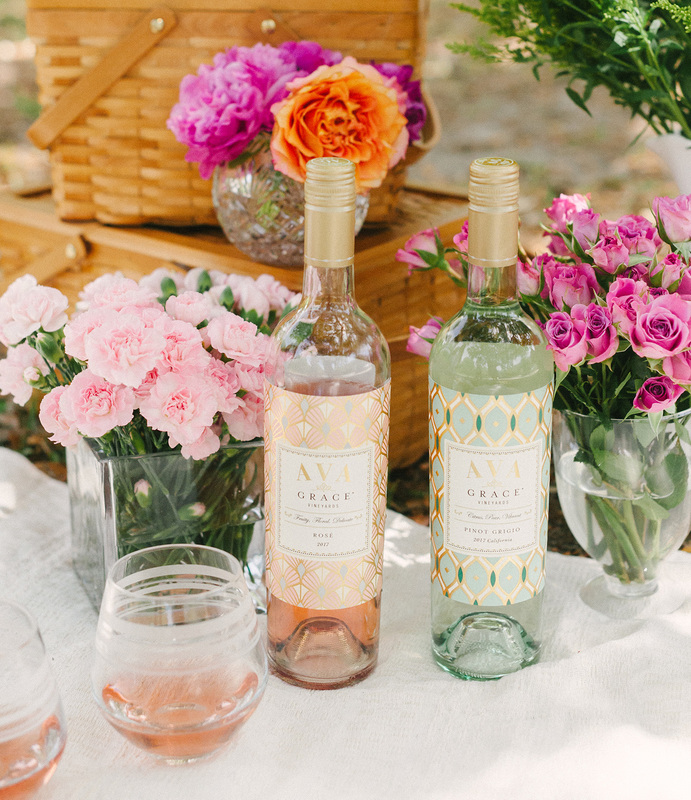 AVA Grace’s delicate Rose + vibrant, citrusy Pinot Grigio are the perfect pairings for springtime picnic snacks, along with all your other summer celebrations. Think Memorial Weekend, 4th of July – you name it! Not to mention their labels are so darn cute. 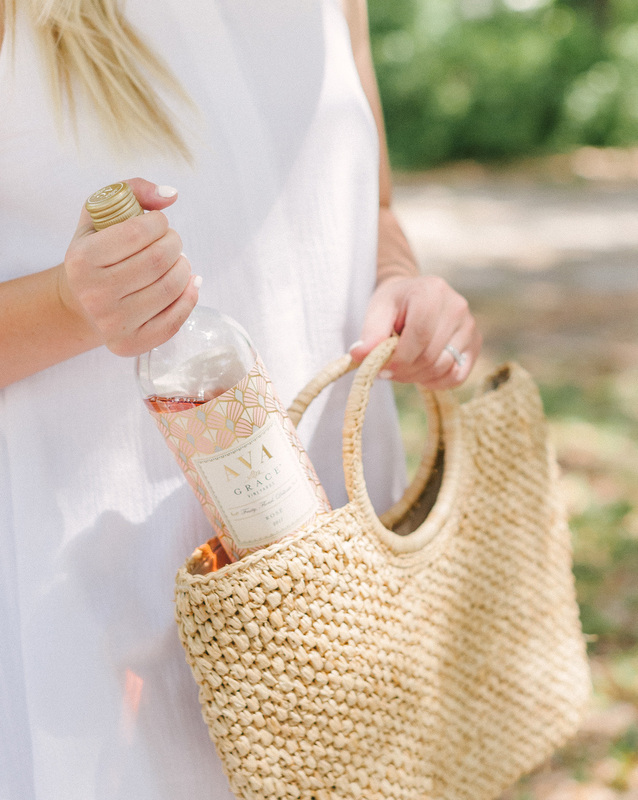 They’re basically an accessory all there own, and a great hostess gift to bring along if you’re a guest at the party. 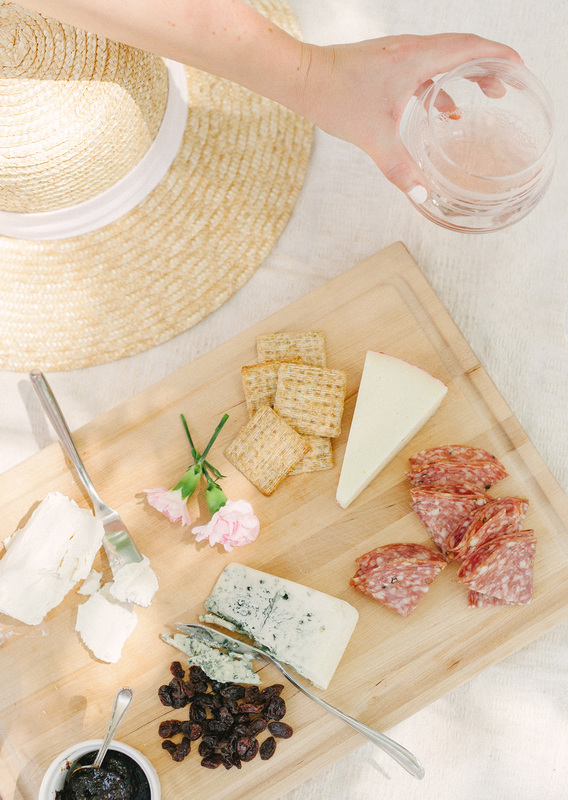 FOOD: Cheese, cheese and more cheese. With a side of cold cuts, fruit and veggies for some variety and added texture/color. 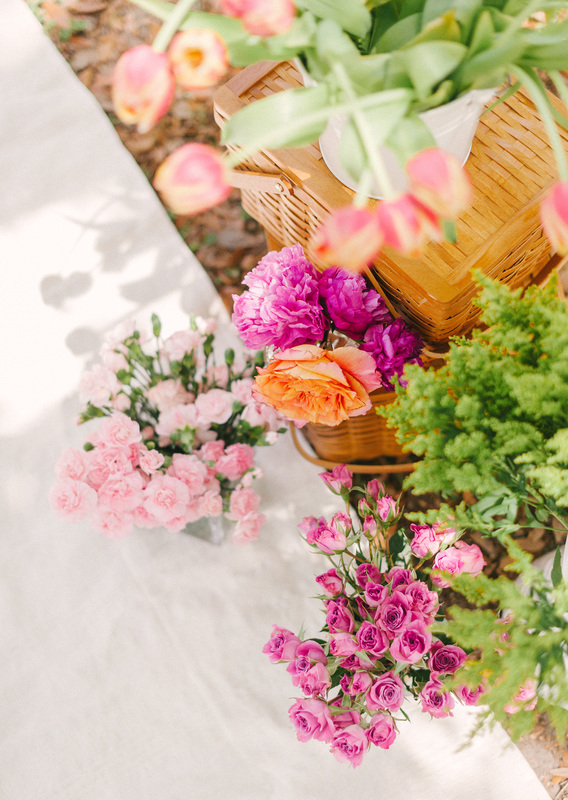 ACCESSORIES: Flowers galore! More is more in this category. 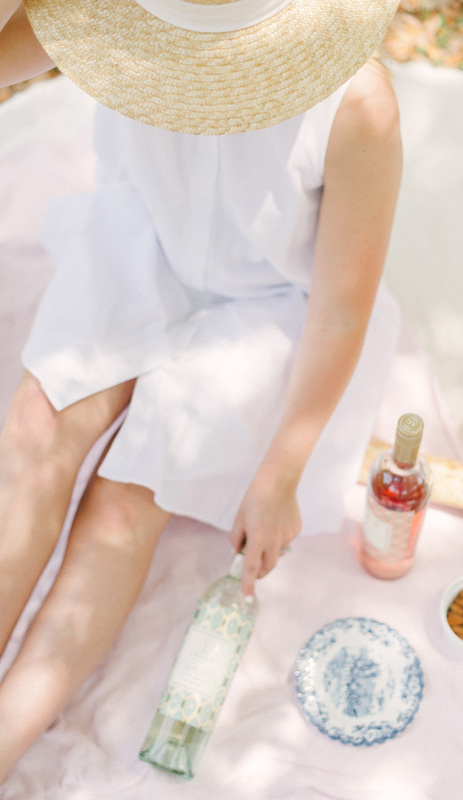 Bringing a cute picnic basket is both practical and a little added decor for your ‘scene’. Viola! 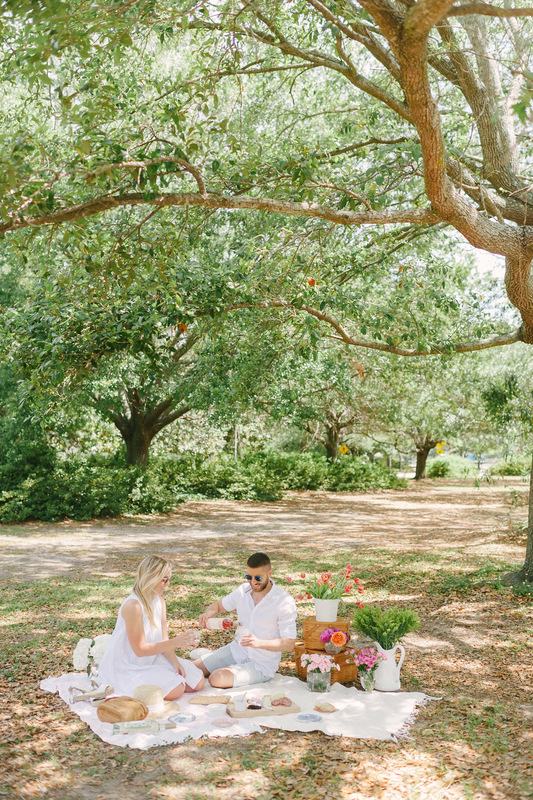 A Charleston picnic at your fingertips. 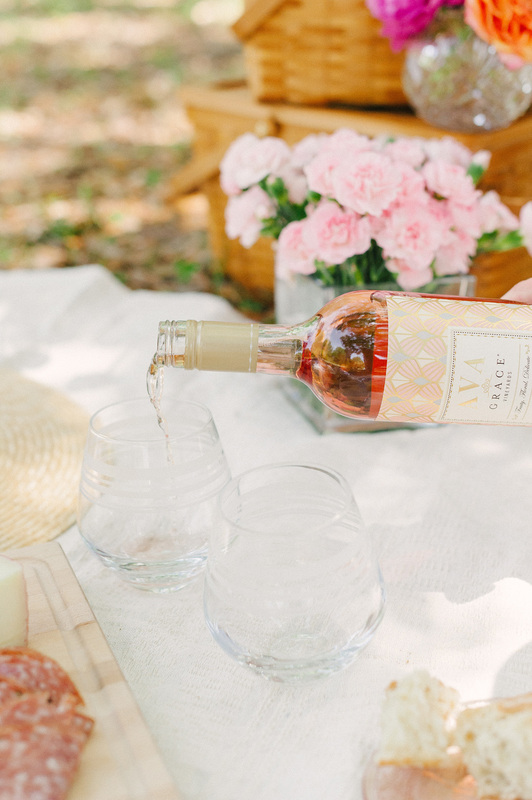 Anything I missed that y’all love to bring along to your summer blanket parties? !